A new ‘Your shortcut’ card on Google Maps home screen is popping up for some users and it allows them to select four options from a total of 14 quick actions. 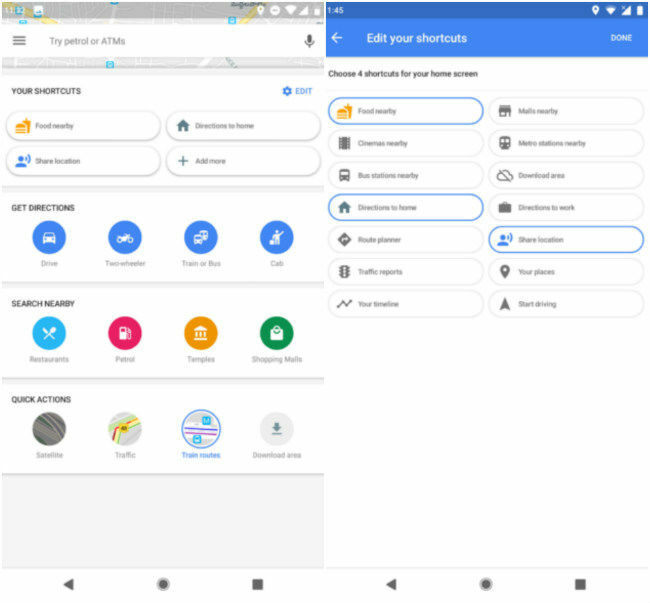 Google Maps for Android has been updated with a new feature called “Your Shortcuts”, It allows users to set four shortcuts on Maps’ home screen from a set of 14 quick actions. These quick actions include Foods nearby, Malls nearby, Cinemas nearby, directions to home and work, Metro stations nearby, Bus stations nearby, and more. As per an Android Police report, the new feature is currently rolling out for select users in India for the app version 9.72.2. Google Maps app now displays a 'Your Shortcuts' tab in the quick actions menu. There are three pre-selected options with an Add More button which allows for adding one more quick action to the menu. Currently, only four options can be chosen at a time and some other options include Food nearby, Download area, Route planner, Traffic reports, Your timeline, Your Places and Start Driving. The new feature is expected to roll out for more users in the coming weeks. 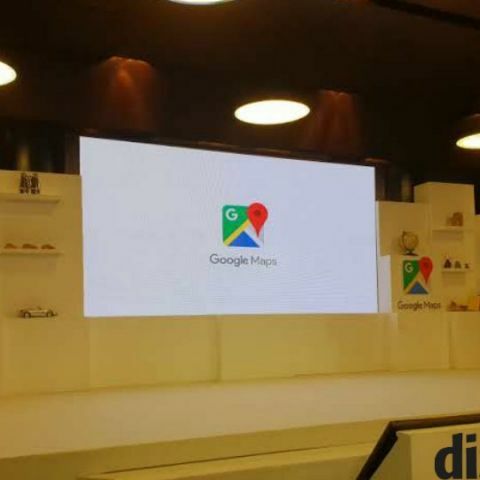 Google recently announced some new features for the Maps app to simplify address search in India. The company launched Plus codes. Plus Codes can be generated for displaying precise location of an address using a ‘6-character + City’ format. The code can be searched for in Maps or directly in Google. Newly added local languages include Kannada, Telugu, Tamil, Bengali, Gujarati, and Malayalam. Google Maps also introduced 'Smart Address search', 'Add Address' options. The Add an Address option allows users to contribute to Maps by submitting new or missing home addresses. Smart Address Search helps a user to find the address they are searching for by approximating its location, in case the user is not aware of the exact place. You can learn more about the new features here.